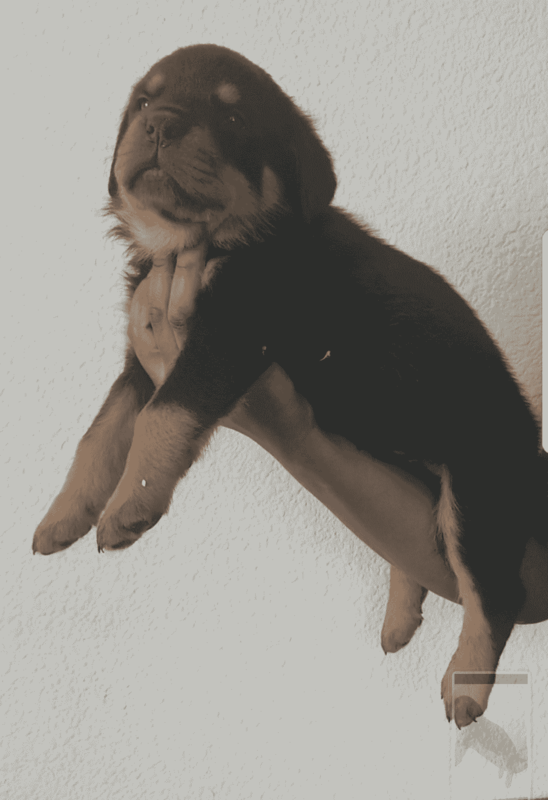 World Champion Rottweiler Puppies \\r\\n\\r\\n\\r\\n\\r\\n\\r\\n\\r\\nMessiah \\r\\n\\r\\nMulti CH. TK Ivan The Great x Ch Timmy Von Erster Blick \\r\\nHD A ED BL ( Vt .Dr Slobodan Sredanov )\\r\\n\\r\\nCairo \\r\\n\\r\\n2017 IFR World Best Producer Multi CH. Dzomba Von Haus Drazic X CH Bea Von Felsbrocken (International Ch SRB NODDY Futogline X CH Zita Von Haus Zizakov)\\r\\n\\r\\n************************************************\\r\\nBoth parents on site. Pups come imprinted by Showtime K9 Experience Inc. with the option of advanced obedience at a discounted rate. 2 year health guarantee on Hips and Elbows.\r\nWe have a few available pups from our boy Messiah (Sire: TK Ivan The Great \r\nDam: CH. Timmy Von Erster Blick) and our girl Cairo (2017 IFR Worlds Best Producer Multi Ch. Dzomba Von Haus Drazic X CH Bea Von Felsbrocken (International Ch SRB NODDY Futogline X CH Zita Von Haus Zizakov) breeding. Pups will be 4 weeks tomorrow.\r\n\r\nOur pups come imprinted in basic obedience with the option of advanced obedience. AKC full registration, 2 year health guarantee where we do not require you to put down or return your dog. We are professional dog trainers with over a decade of experience, we thoroughly evaluate our pups temperament to ensure the highest quality. Both mom and dad are on site and possess amazing temperament.